This day is observed to raise public awareness of Down syndrome, a congenital disorder caused by having an extra 21st chromosome.Through different activities and events, the abilities and accomplishments of people with Down syndrome have been showcased globally. The purpose of such events is to focus on encouraging independence, self-advocacy and freedom of choices for people with Down syndrome. This year, World Down’s Syndrome Day will focus on equality and how people with the genetic condition can contribute to their community while living a life of choice and opportunity. Down syndrome is the most common chromosome abnormality in humans, occurring in about one per 1000 babies born each year. It is also known as trisomy 21, is a genetic disorder caused by the presence of all or part of a third copy of chromosome 21. It is typically associated with physical growth delays, characteristic facial features, and mild to moderate intellectual disability. Physical development is often slower than normal. Most children with Down syndrome never reach their average adult height. 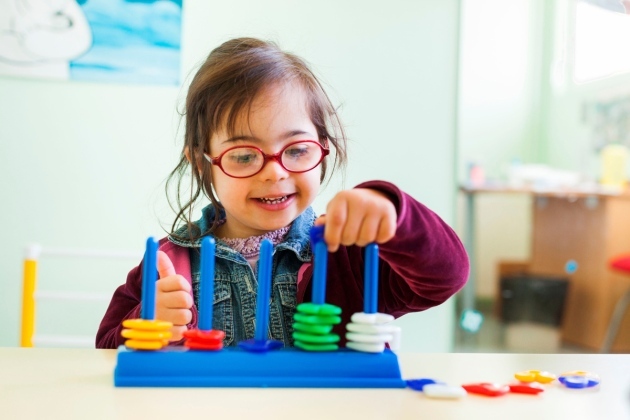 Behavioral training can help people with Down syndrome and their families deal with the frustration, anger, and compulsive behavior that often occur. Special education and training is offered in most communities for children with delays in mental development. Speech therapy may help improve language skills. Physical therapy may teach movement skills.